Fall in New England is stunning, in all its multi-colored glory. Halloween and Thanksgiving vacations offer wonderful experiences in Southern New England, with exciting things to do locally throughout the fall and early winter seasons. Saturday Farm is open from mid-April through the New Year. 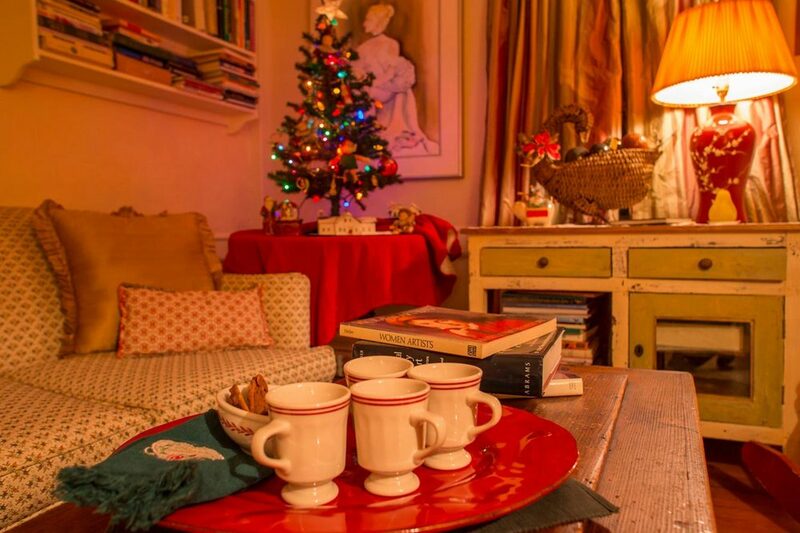 The colonial house is absolutely perfect for Christmas and New Year’s celebrations. We will even deck the halls for you! Ring in the New Year at First Night Chatham with a wide array of fabulous live music concerts and activities all throughout the area. First Night Chatham’s Countdown Cod is scheduled to ring in the New Year at the exact moment of 2017 from its perch on a crane high over the Oyster Pond Park and then signal the beginning of a wonderful fireworks display! Come early for the best viewing spot over Oyster Pond at midnight. Special low-level fireworks after a “Noise Parade” will be presented as a treat for the young First Nighters. The show is at Veterans Field and viewing is from the parking lot and fields behind the Chatham Community Center. Check out the First Night Chatham website for more New Year’s details.